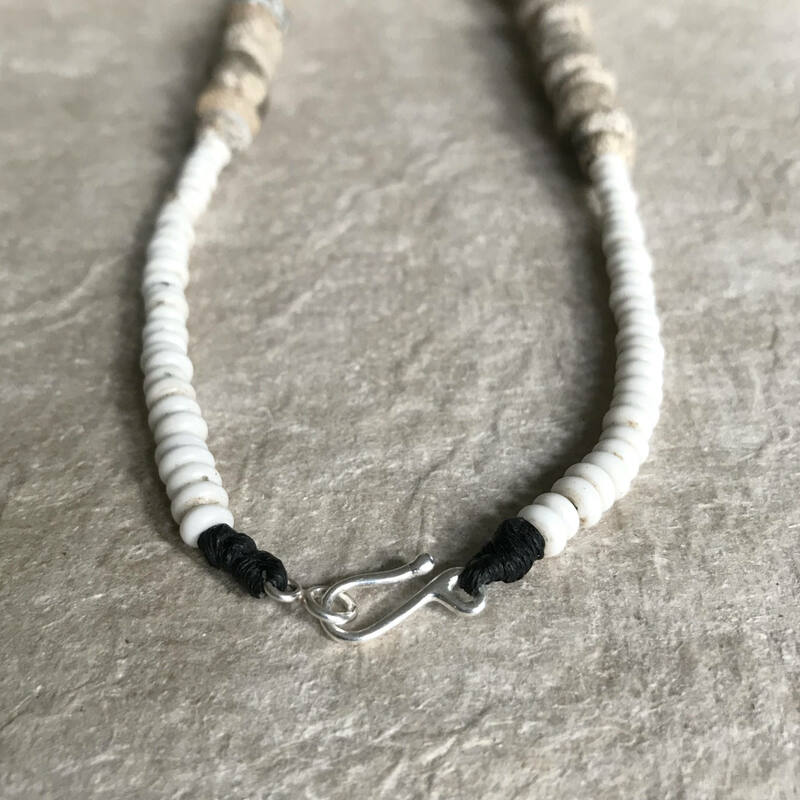 This one of a kind necklace is composed of fossilized bone beads, antique African glass trade beads, Irish linen, and a sterling silver clasp. 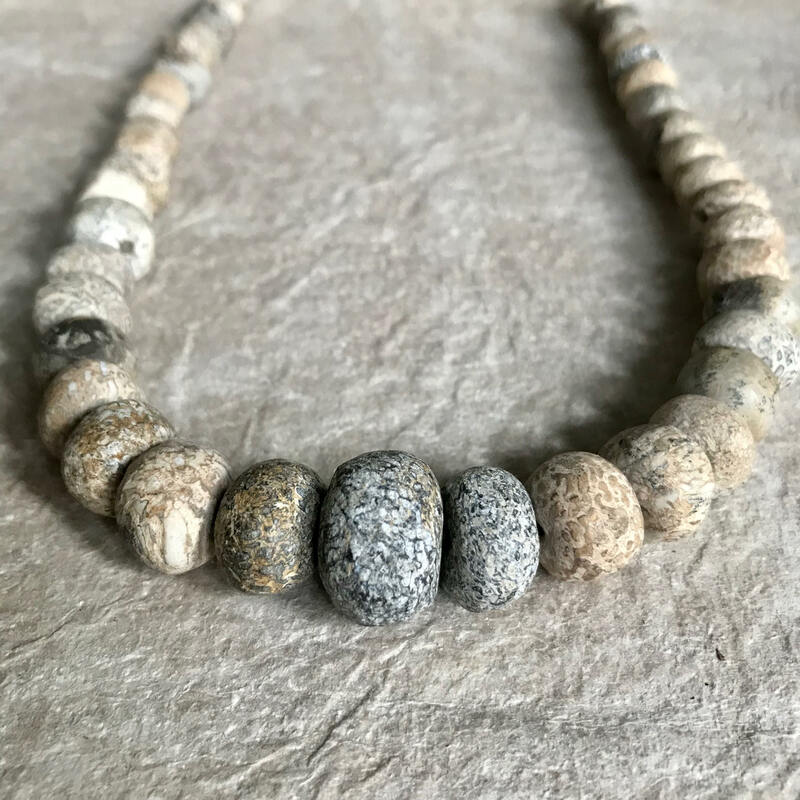 It measures approximately 24 1/2 inches in length. 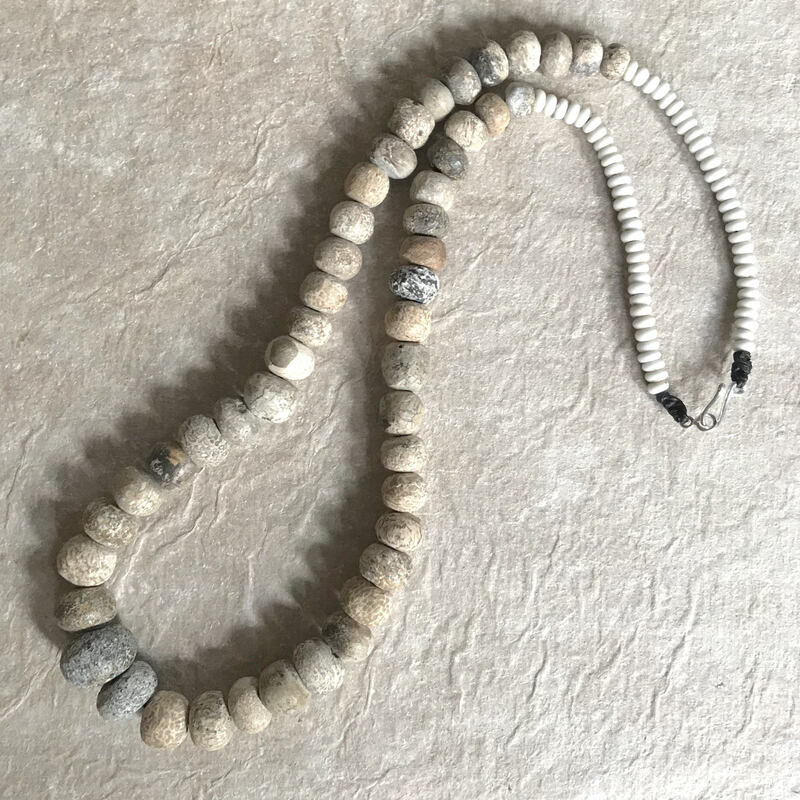 The largest bead is approximately 7/8 inches in diameter. 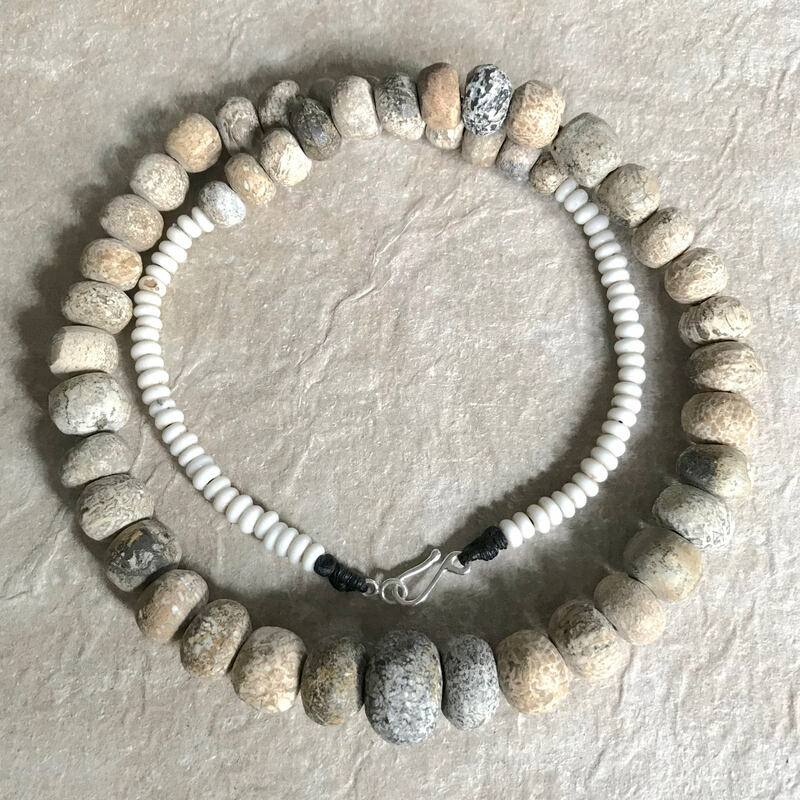 Each fossil bead has a unique pattern and texture.